RAHWAY–As part of its 10th annual United Way fundraising campaign, Infineum USA L.P. partnered with the United Way of Greater Union County for a special project, the construction and donation of a playhouse to a local day care center. Infineum USA L.P. celebrates its 10th annual United Way employee campaign by constructing and donating a playhouse to the Rahway Day Care Center. 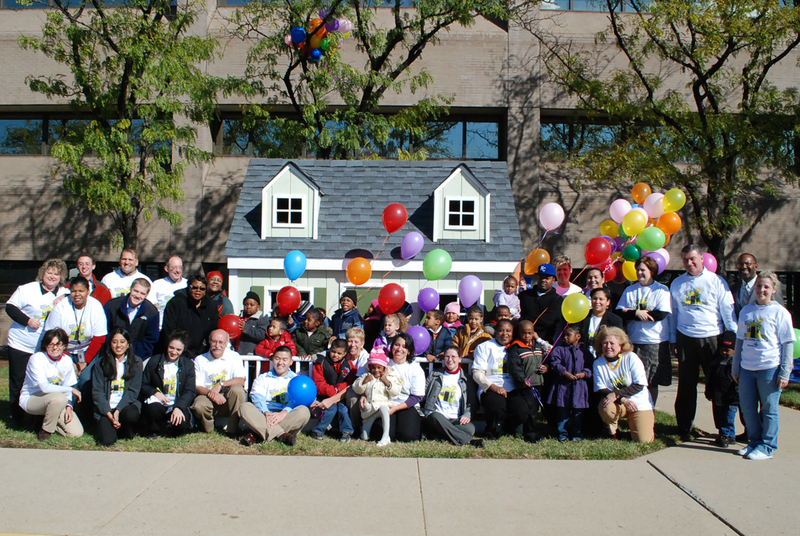 In addition to the yearly fundraising and outreach activities, employees at Infineum made the 2008 campaign extra special by designing, building, decorating and donating a playhouse to the Rahway Day Care Center. The work was all completed on site by employee volunteers who gave up their lunch time and stayed late after work to build the structure. On the heels of an election that saw more young people vote than ever before, it has become apparent that people are taking an interest in politics and government at a younger age. In these tough times for our country, it is important for people to have a strong grasp on the issues. This is true for people of all ages. Young people are no longer afraid to voice their opinions, and therefore, it is important to educate them on the issues. They are eager to have a better understanding of their government, and those who are a part of it. During the last month, I have had the honor of speaking – and listening – to some very bright students, ranging from fourth to twelfth grade. It has been my pleasure to speak to them about our government, and the issues and challenges it faces right now. The 10th Annual National Legislators-Go-Back-to-School Program has been a huge success this year. The program consists of legislators visiting various schools in their respective districts, and speaking to young people about politics and government. Not only do we review the basics of our government and legislative systems, but we also tackle real-life issues that affect these children’s lives every day. I am very impressed with their understanding of intricate issues such as the economy, the war, this month’s elections, health care, and plenty more.